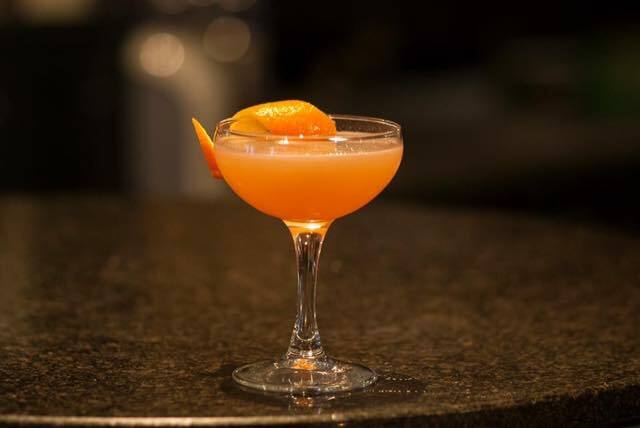 Visit the stylish new gin bar in Glasgow’s West End. beGIN features over 60 gins from around the world along with a selection of innovative cocktails, unique craft beers and a large selection of traditional beers, wines and spirits. 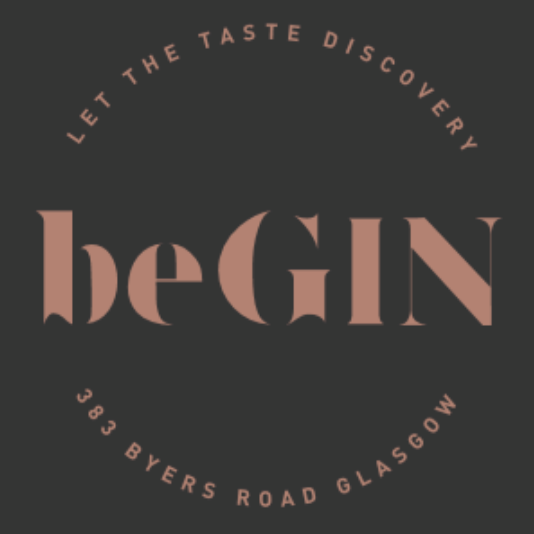 Gin connoisseurs can enjoy a Perfect Serve with the bar's recommended selection of tonic and garnish for each gin or they can use their GINtuition and choose their own gin accompaniments from 12 mixers and 28 garnishes. Food is served until 10:00 p.m. and the menu offers a variety of small bites, sharing boards, burgers, sandwiches, salads, and ice cream sundaes. Make yourself comfortable in one of the semi-private booths, leather sofas or tables and enjoy the unique atmosphere reminiscent of the American Prohibition Era. Lovely staff and great service! Atmosphere was awesome and relaxed. Top spot in the west end. Great place and amazing drinks! Great staff , Gin flights were brilliant . I won one of the Christmas competitions and loved my visit! Very friendly staff and quick service. Can't wait to go back. Really loved our visit so many gins to select from and we will be back to try some more perfect serves. Lovely bar, great atmosphere, amazing choice of gin and knowledgeable staff. Would recommend! Great atmosphere, and staff very welcoming. Our whole party really enojyed the evening and we would definitely return. We were a party of 11 in for cocktails and drinks. The table was reserved and looked very nice.The service was excellent and next time we will stay for food. Recommended. Myself and my party had a wonderful time gin tasting, the selections, recommendations and knowledge were fantastic. The server was so knowledgeable on the gin flight we had. It was fab to learn about different gins and mixing them. The place was quiet and we could enjoy our gins and listen to some fab music. Will defo recommend to family and friends and come back again. Emailing to reserve a table was easy and I received my confirmation quickly. All good. Our table was ready when we arrived however the barman on duty was rude and quite unhelpful when one of our apartment to the bar to order. This was  disappointing because this was my recommendation. This was the only downside. We weren't expecting masses of food as the deal was a bottle of wine and 4 small plates However the food consisted of a tiny dish of peanuts,another of olives,some tortilla crisps with a little cheese on top and a large pretzel.I think if it had said on the deal wine and nibbles we wouldn't have bothered Not good value for money. This was actually a visit to Windows on the West but nonetheless it was a pleasant visit and the lady who welcomed us was charming and told us a little about the restoration and plans for the future. The deal was great nibbles and a bottle of Prosecco it was a great relaxing visit. We had a delightful Prosecco High Tea and found all the staff very friendly and helpful. Michael was especially nice as i had emailed him  and he remembered me which i thought was a nice touch considering how many guest he comes in contact with on a daily basis. Just want we wanted for a pre 21st party get together . Staff all very helpful & willing to assist in any way - especially Heather. Please thank her & the team. The staff were really lovely. Helpful and efficient. Food was good tasty and plentiful. More vegetarian options would be good. Sadly we didn't get to eat. Booked a table in advance, showed up to a lively atmosphere in the place. Waitress took us to our table and pretty much left us there. She said she'd bring us menus but never did. Made some eye contact with her at one point but still nothing. We gave up and left - ate at place across the road who squeezed us in at last minute on a busy Saturday night. Note reviews on Facebook complaining of the same lack of service on the night we went so maybe just teething problems. Those who were having drinks seemed to be enjoying it. I'm a gin lover so was salivating at the huge selection they've put together. Service let the place down badly that night. Exceptional service. What a great team. Really lovely people!